Currently, nominations are open for the CFC’s Slaight Music Residency, a creative and business initiative for screen composers and songwriters. The program encourages the complete integration of music creators into the onscreen process while offering unique business opportunities to increase the use of Canadian music in film and TV. It helps effectively translate each participant’s musical talent to onscreen applications by developing, packaging and launching their unique musical vision. We’re spotlighting some of the successful alumni who’ve come through our doors, including the award-winning composer and alumna (2014), Erica Procunier, a Canadian composer for film and other media – more than 40 films, television series, theatre works, advertisements and video game productions. In 2017, she was commissioned by the Toronto Symphony Orchestra (TSO) and the Toronto International Film Festival (TIFF) to compose a live film score to celebrate Canada’s 150th birthday, titled DAM! The Story of Kit the Beaver. Procunier recently scored the CBC comedy series Little Dog, created by award-winning author and CFC alumnus Joel Thomas Hynes. She scored the hit misfit comedy Don’t Talk To Irene, starring Geena Davis (made by CFC alumni Pat Mills as writer/director, with Alyson Richards and Michael MacMillan as producers), and alumnus Thyrone Tommy’s critically acclaimed drama, Mariner, both official selections at TIFF. 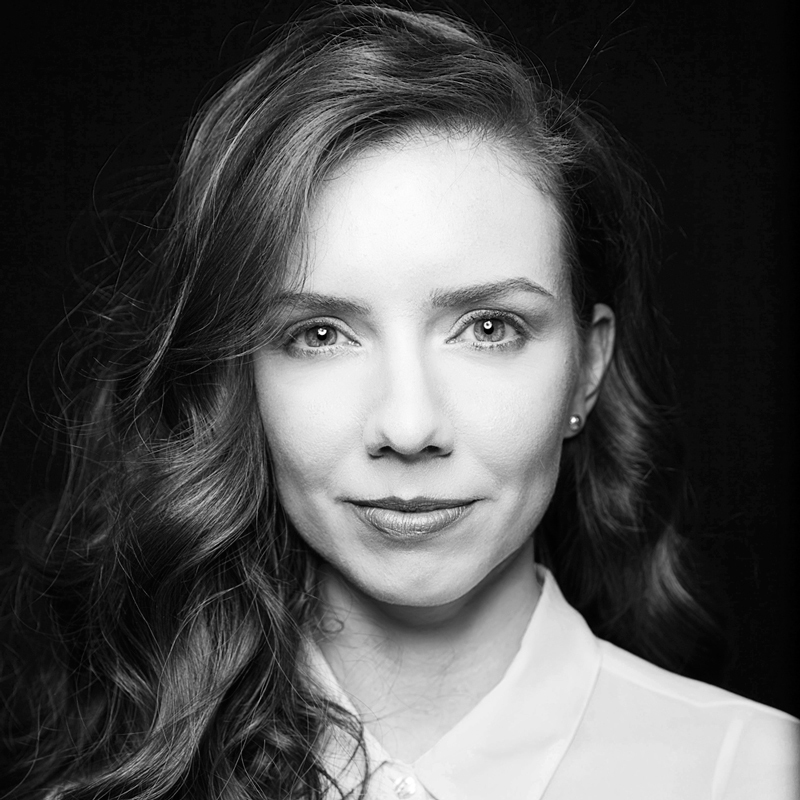 Procunier was selected to attend Berlinale Talents 2019, is an active member on the board of directors for the Screen Composers Guild of Canada, and she holds a Masters of Music Composition from Western University. Below, we spoke with Procunier about the impact of her time and work in the Slaight Music Residency, and how she’s excited about the changing contemporary industry. What were the biggest takeaways from your time in the Slaight Music Residency? I think the biggest takeaway from my time at the CFC was being welcomed into a filmmaking community as a whole. The program was an opportunity for me to connect with people working in all disciplines and styles. I also really believe that as you progress as a professional composer, it’s harder to get real constructive criticisms on your work to help push you to be better. The CFC was the perfect environment for working with wonderful mentors who had a lot to offer me. Can you talk about the kind of creative and professional relationships you forged through the program? I’ve made so many wonderful friends though the CFC and even if we haven’t yet become collaborators, we all still come out to support each other’s work and keep in touch. I do still work with many of the people I met at the CFC as well! The benefit is we all know each other’s strengths, so when we hear of opportunities out there, we are able to recommend someone really great for the job. Procunier scored ‘DAM! The Story of Kit the Beaver,’ which was commissioned by the TSO and TIFF for Canada 150. It premiered in February 2017 live in concert with the TSO and toured across Canada to be performed by the Edmonton Symphony Orchestra, the Kingston Symphony Orchestra and the Kitchener-Waterloo Symphony Orchestra. What types/styles of music do you gravitate towards when composing for onscreen work? How did that evolve since coming through the Slaight Music Residency? I’ve always gravitated towards the piano and orchestra, but I’m leaning more towards using instruments in a non-traditional, experimental way; I’d like to explore that side a lot more. My score to Thyrone Tommy’s Mariner is a great example of that process, where we recorded music in short phrases and gestures, and then chopped them up and layered them to fit the right moments. What are you currently working on, and/or excited about pursuing next? I just did this amazing kids series with current Slaight Resident Antonio Naranjo that is a throwback to the adventure films of our youth. It’s just dripping with nostalgia for eighties films like The Goonies and Indiana Jones! I think adults might like it even more than the kids! What do you have your eye on? What is exciting you about the industry right now? I think what I love seeing is so many more diverse people, including women, coming into this industry and just owning it. It’s crazy to think that the first blockbuster superhero film scored by a female composer is only now being released – and it’s about time. People are beginning to go out of their comfort zone and ask to hear new voices. The result is the realization that there is so much talent out there. Yet there is still a ways to go. I’d like to see greater diversity throughout the music pitching process, especially for network television. What content are you recommending right now to your friends? To be completely honest I haven’t had any time lately to watch enough new things on my list! But I recently binge-watched season one of The Marvelous Mrs. Maisel and it was really great. It fills that retro gap that Mad Men left when it finished. Want to nominate a music creator for the Slaight Music Residency? Here’s how. Nominations are open until March 28.